Dinosaur hunter is the typical survival game in multiple types of open world locations against prehistoric creatures. 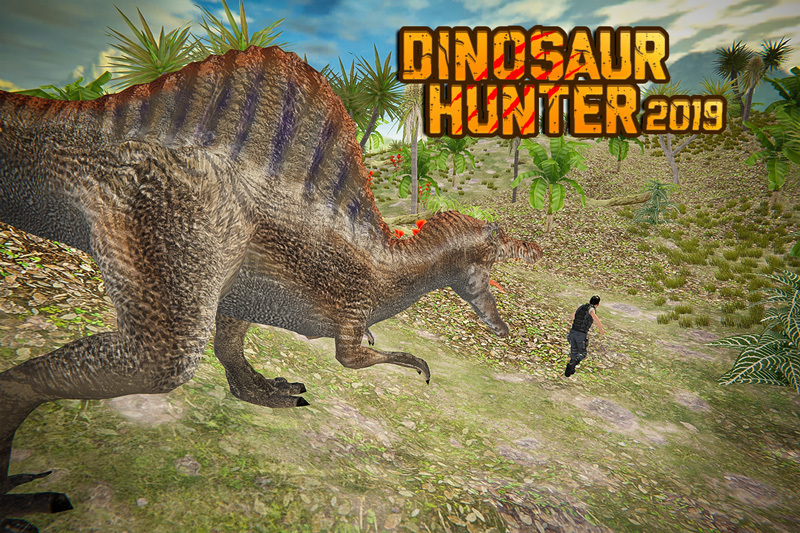 Be a real deadly dinosaur hunter in best of dinosaur hunting games 2019. Dino hunter on the deadly shores hunting is a real thrill and fun game of enjoyment if you are a real hunter then go and pick assault rifle of your choice and start hunting. T-rex dinosaurs are dangerous and attack you and you have to kill & shoot them as soon as possible. Various Jurassic beast models like carnotaurus, tyrannosaur rex, stegosaurus, diplodocus, raptor, spinosaurus and triceratops in dino hunting game as safari sniper. 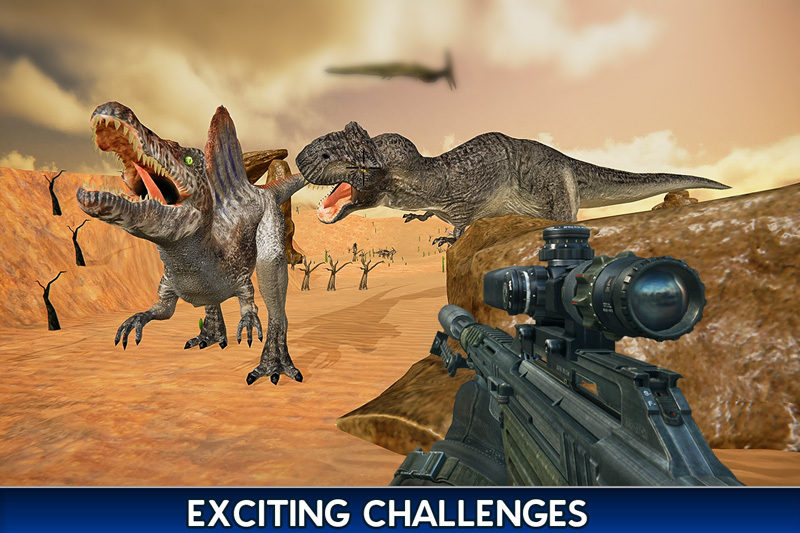 Get ultimate sniper hunting experience and accept the hunting challenges in prehistoric safari lands. In dinosaur hunting games for free choose x-ray gun for direct head & body shots in cold snow weather. 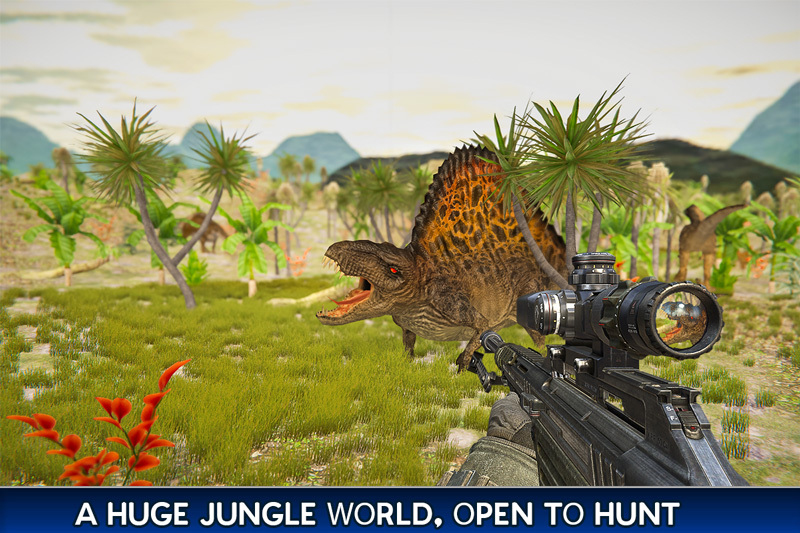 Try this hunting simulator 2019 which is typical FPS dinosaur hunt simulation game. 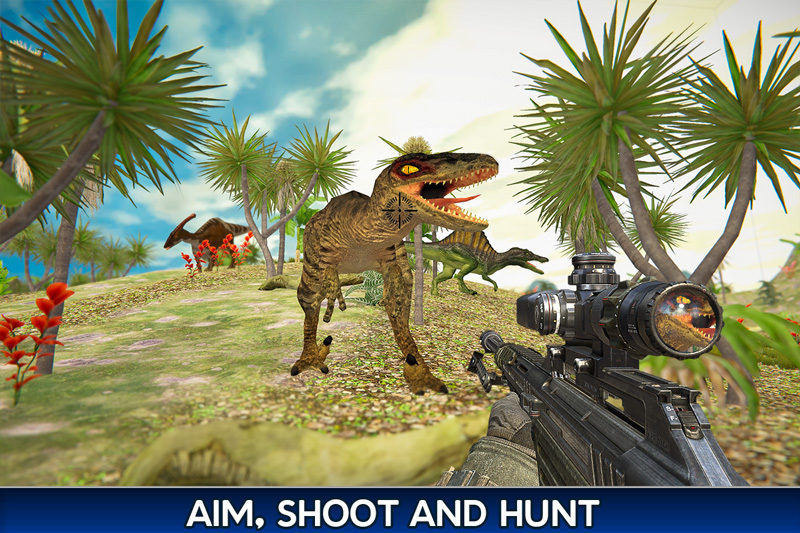 This dino hunting game is best for dino hunters in jungle of carnivores dinos, you will use guns and snipers. As best sniper dino shooters of free dino games you need to hit with accuracy. Perform deadly hunt in thus hunter simulator game of hunting challenges. 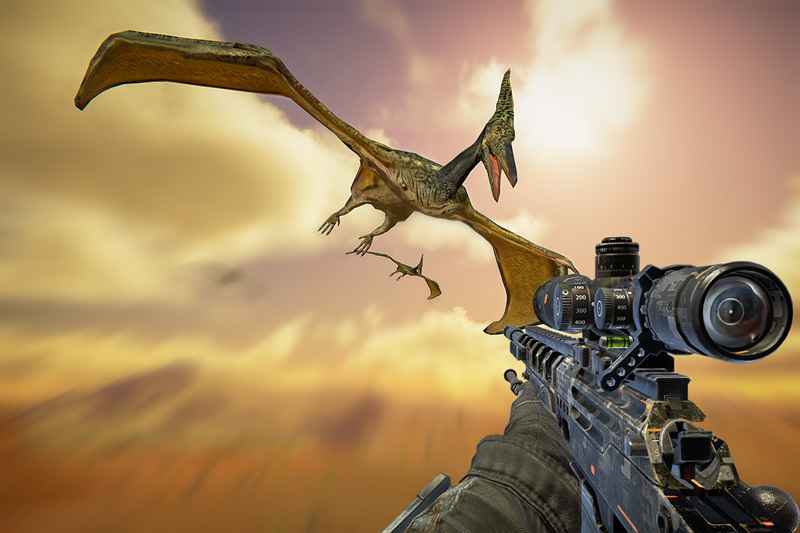 Dinosaur Hunter 2019 is the latest thrilling shooting game where you have to play the role of a stealth huntsman in dinosaur shooting games. Attack & Shoot giganotosaurus, herbivorous, triceratops & Apatosaurus. 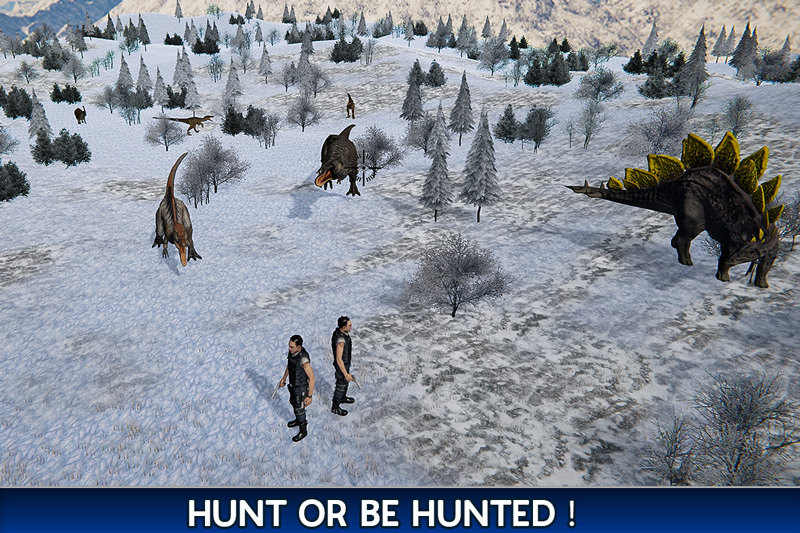 Hunt and gather your weapons and try to pass all survival missions in jurassic hunting simulation game. Be careful while wild dinosaur & t rex are dangerous and can attack after missing the shot. 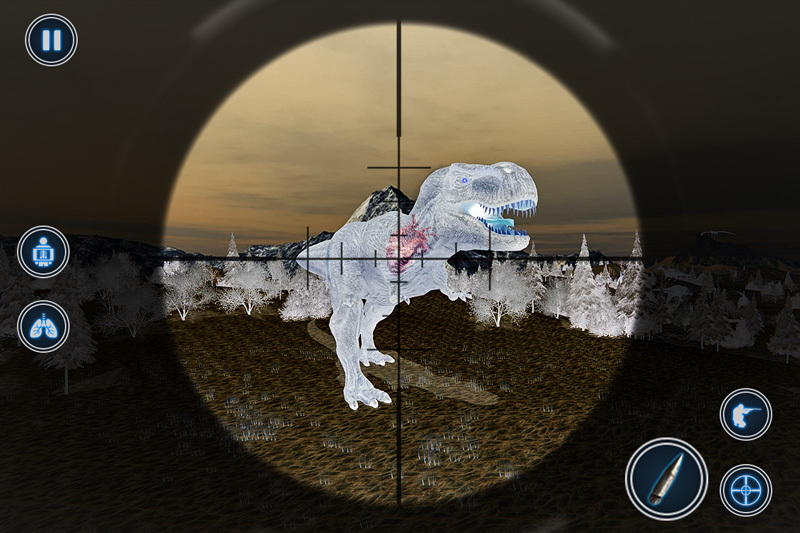 For best shooting results use the scope with dinosaur hunter survival games. Explore sniper mode and assault mode with variety of modern sniping rifles & guns where you will be able to move around and attack from all around. 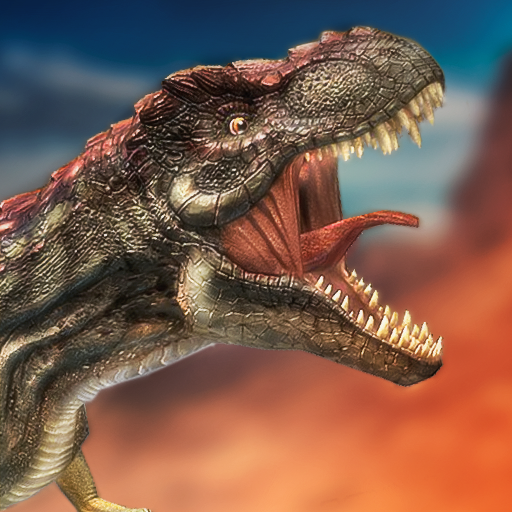 Kill the most ferocious animals in history and enjoy the shooting of dinosaur in survival game. In this exciting dinosaur game only one winner, you or your enemies - ruthless bloodthirsty dinosaurs. Hit and smash these horror villain lizards and flying raptors. Show your brutal attacking skills to hunt down wild beast in the jungle and save yourself from their counter attacks in this survival islands. ✓ Discover hunting worlds like Jurassic rainforest, snow jungle & desert. ✓ Easy to use FPS rifles, guns & special X-ray shot gun. ✓ Ultimate crazy safari combat battle with UI interface. ✓ 3D dinosaurs models from the herbivorous to deadly carnivorous. ✓ Dynamic shadows, high resolution textures in dinosaur shooting games. ✓ Destructive weapons & powerful arsenal range.